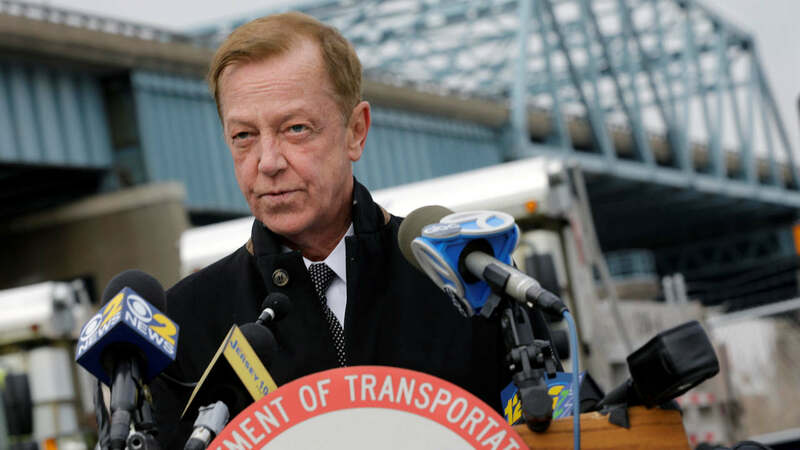 A judge set bail at $100,000 for former New Jersey transportation commissioner Jamie Fox. The U.S. attorney's office charged Fox with conspiracy to commit bribery, which is punishable by a maximum prison sentence of five years. The U.S. attorney's office must now present the case to a grand jury for possible indictment. Prosecutors didn't comment on how long that might take. Samson applied pressure to the airline by withholding a Port Authority board vote on a deal to let United build a new hangar in Newark that would accommodate wide-body jets, the government contends. Christie has praised both men publicly since their arrest, calling Fox "a very worthwhile and worthy public servant" who "has been convicted of absolutely nothing." Christie said last month he was saddened by Samson's guilty plea but called his friend "an extraordinary person" who "obviously had a lapse in judgment." According to the criminal complaint, Fox began lobbying United to resurrect the direct flight from Newark to Columbia, South Carolina, in early 2011, shortly after Samson was named Port Authority chairman.